Today we’ll be discussing the most misunderstood part of breadbaking … the rise! 2. Why does bread need to rise? 3. What causes bread to rise? 4. what causes bread not to rise? 5. How can I make it rise faster/slower? 1. What do we mean when we talk about bread rising? Think about the last time you ate a piece of bread. It probably had either big or small holes inside the soft part of the bread. Those holes were made during the rising stage. A successful rise is crucial for good bread. 2. Why does bread need to rise? Bread that doesn’t go through a rise is very dense. Think about it: if you are familiar with the story of Passover, you know that the Hebrews didn’t have time to let their dough rise in their escape from Egypt and slavery so they baked it unleavened. Eating matzo, which looks like a large crispy cracker, is the way modern Jews observe the prohibition on leavened bread during Passover. Crackers are a type of unleavened bread. Side note: one time in Sunday School, we were doing a lesson on the Passover and I brought two loaves of bread that were made with exactly the same ingredients and baked the same, but one was allowed to rise and the other wasn’t. The taste difference was pretty amazing! Some breads only rise in the oven, such as quick breads like banana bread. However, yeast breads require a separate leavening step because the gluten net needs to form to trap the carbon dioxide bubbles that eventually create the holes you were admiring in question #1. The period of time when a bread dough rises is also referred to as its fermentation, proofing, or leavening period. I’ll explain more about this in a second. 3. What causes bread to rise? Let’s back up for a second and talk once again about the science of bread. If you’ve been following this series of posts, you know that yeast bread relies on the relationship of three ingredients: flour, water, and yeast. More specifically, 1) the relationship between the gluten net created by the flour and the water, and 2) the production of carbon dioxide as the yeast eats the sugars in the flour. A successful bread is one in which the gluten net successfully traps the carbon dioxide. These two processes must work in tandem. So why all the fancy words for the rising step? They describe different chemical changes that occur. 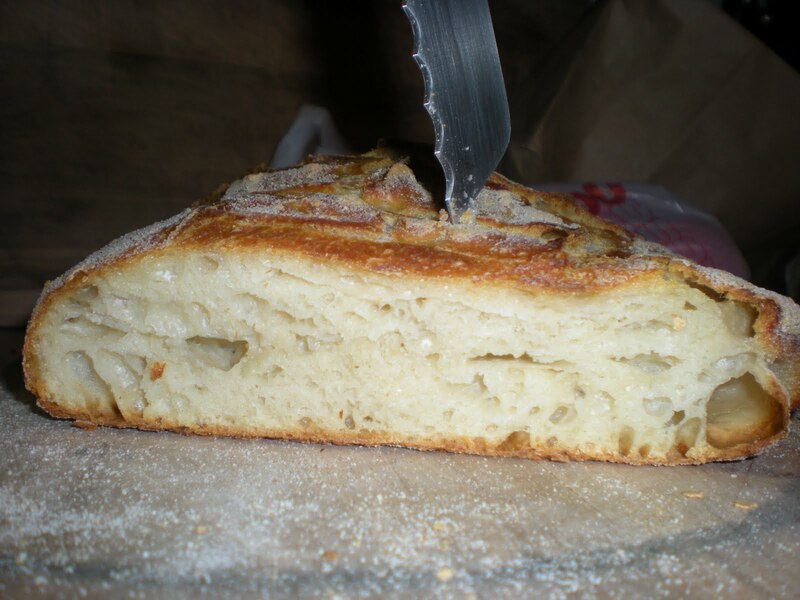 The proofing or leavening, is what you call the physical rising process that you can see. Fermentation, however, is how flavor develops during the rise. You see, not only carbon dioxide is released when yeast eat up all the sugars created by the flour and water. Other gases are released as well, and these develop the flavor of the bread. That’s why, if you try to rush the process by adding a ton of commercial yeast, your bread won’t taste as good as if you let it rise slowly, trapping in all those yummy gases. 4. What causes bread not to rise? Sadly, lots of things can cause your bread not to rise properly. First, the environment. If you set your dough to rise in a cold room, the yeast will eat very slowly and the dough will take a very long time to rise. Second, if your liquid ingredients are too hot, that can kill the yeast. A good way to tell if your liquid is too hot is to stick a finger in it. If you can keep it in there comfortably, then it’s the right temperature. Next, insufficient gluten formation could be a culprit. You want the dough to trap the carbon dioxide. 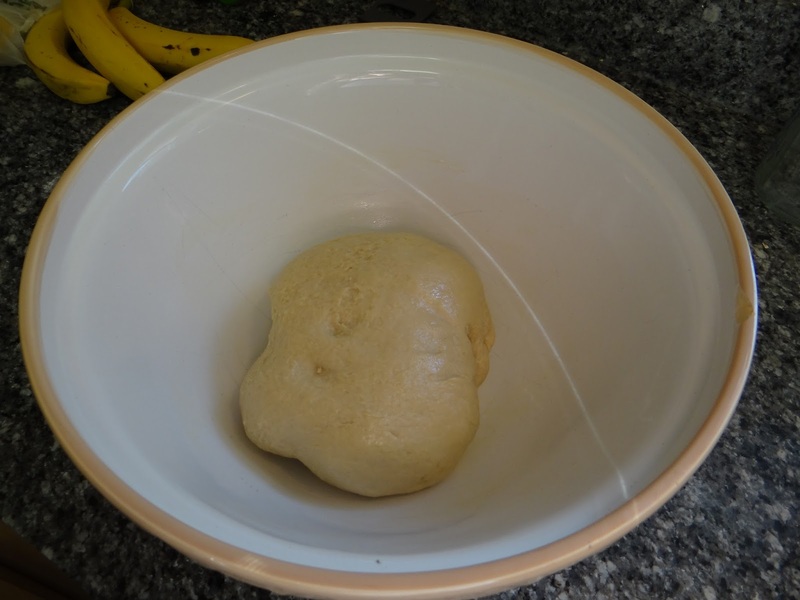 If you have a very wet dough, do a few stretch and folds to strengthen the gluten. Some flours, such as bread flour or all-purpose flour, have higher amounts of protein and form stronger gluten strands. 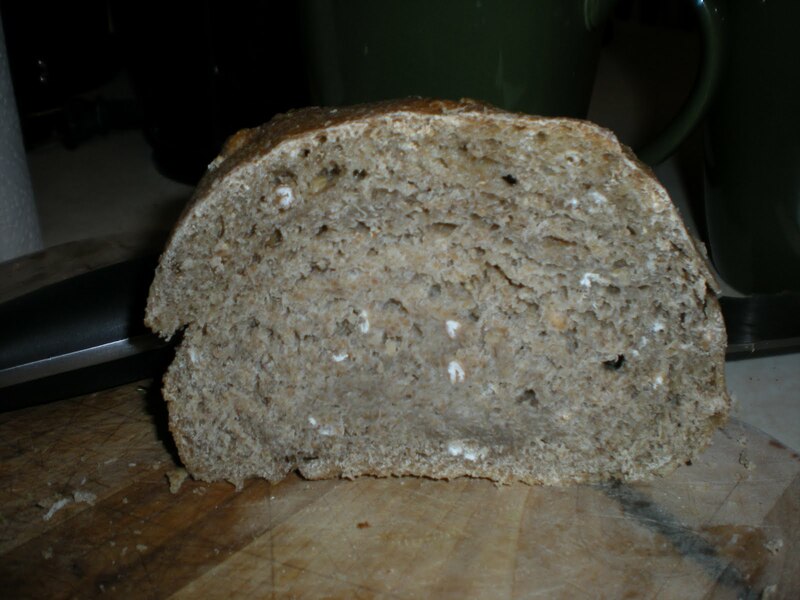 Whole wheat and rye flours do not form gluten easily. Finally, if the yeast is old it won’t activate properly. Before adding it to the dough, it’s always a good idea to add the yeast to a small amount of warm water or milk to make sure it’s activating before adding it to your dough. You will know it’s working when small bubbles form and it smells yeasty. I guess one more culprit for your unrisen dough is if you are using sourdough starter that is not sufficiently activated, or you didn’t use enough for the size dough you are looking to make. 5. How can I make my bread rise faster? There are a few different ways to make your bread rise faster, although I would definitely proceed with caution here. The best flavor comes from giving yeast a long time to rise and release tasty gases during fermentation. Make sure to put the dough in a warm environment. If someone has recently taken a shower and your bathroom is warm, put the dough in there. Or the warmest room in the house. Don’t go too hot though – you don’t want to accidentally cook your dough! Use warm water instead of cold. Again, give it the finger test to make sure it’s not too hot! 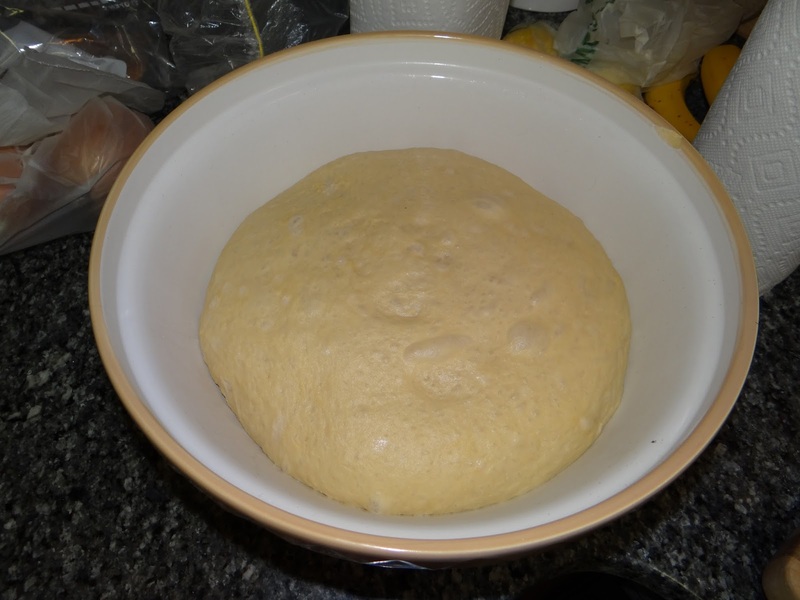 Knead your dough or give it periodic stretch and folds to strengthen the gluten. Use more yeast. This is the tip that comes with the biggest caution. Remember, yeast works in tandem with your gluten net. If you have too much yeast and not enough of a gluten net formed, the yeast will produce tons of carbon dioxide, the dough will rise too quickly, and the carbon dioxide will escape, causing your dough to fall. Too much yeast can be too much of a bad thing. When I say too much, I mean anything more than 2 1/4 teaspoons of yeast per loaf. What if I want to make it rise more slowly? Pretty much just do the opposite of what I advocated above. Put your dough into the refrigerator. 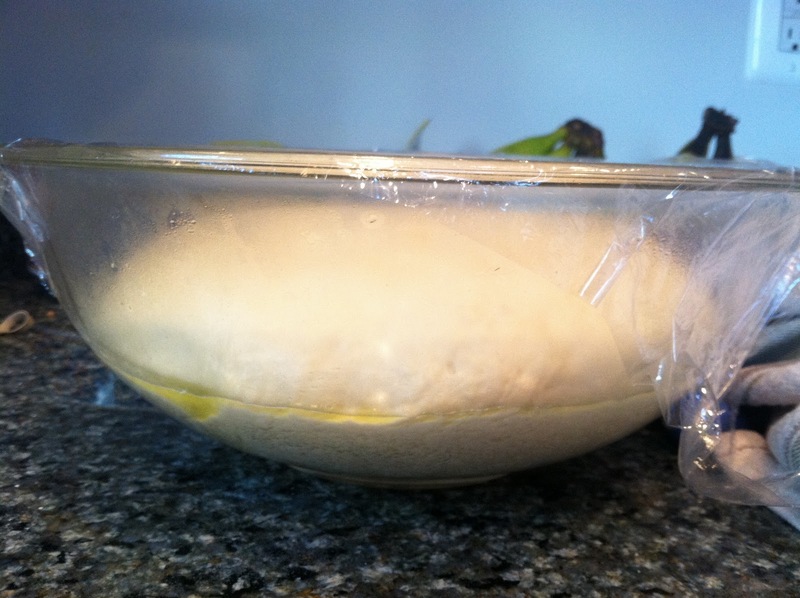 I usually mix my dough, cover it with plastic wrap, and put it in the refrigerator overnight. Then I take it out the next morning and let it rise over the course of the day and bake it the next evening. Use cold water instead of warm. Use less yeast – 1/2 to 1 teaspoon should do it. leave your dough alone – once you have mixed it up, don’t mess with it. Messing with your dough = more gluten formation = faster rise. 6. Differences between baking powder/baking soda/ commercial yeast / sourdough starter. 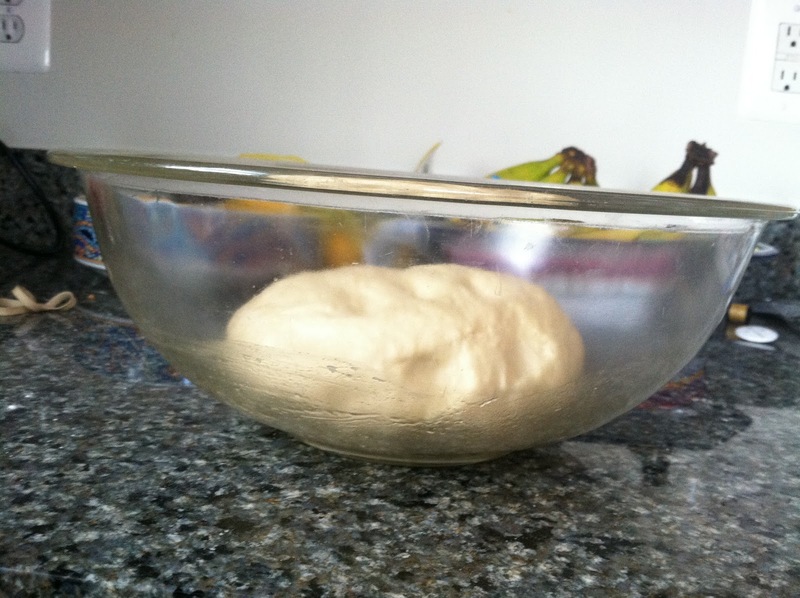 Most of this post has been about using commercial yeast for leavening your bread. 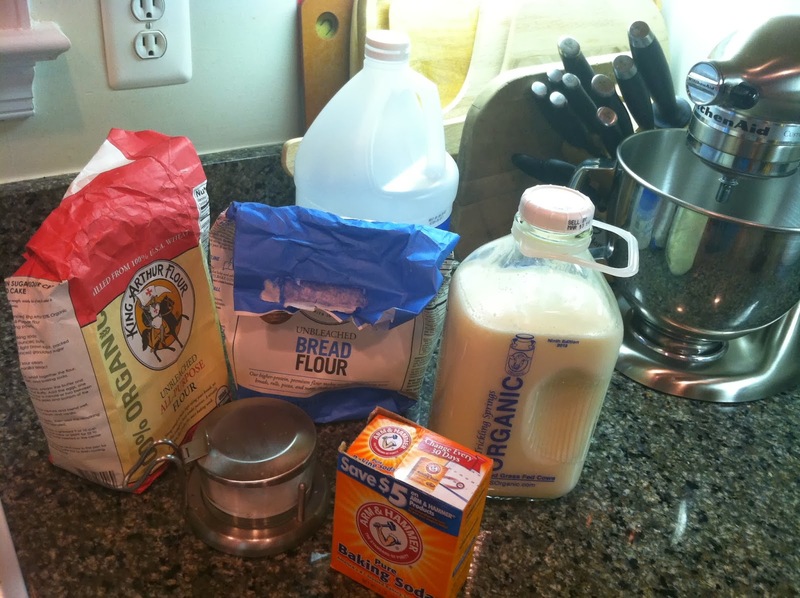 Baking powder and soda: Anyone familiar with quick breads like banana or zucchini bread knows that baking powder and baking soda can also be used to leaven bread and give it a light, fluffy texture. How it does that, however, is very different. Because baking powder and baking soda are activated upon contact with water, milk or an acidic liquid, they need to be baked right away – no separate leavening step. Breads that use baking powder and baking soda have very little gluten formation and the taste and texture are more like crumpets or biscuits. In order to make sure your baking powder and baking soda dough will be successful, always use fresh powder and soda. 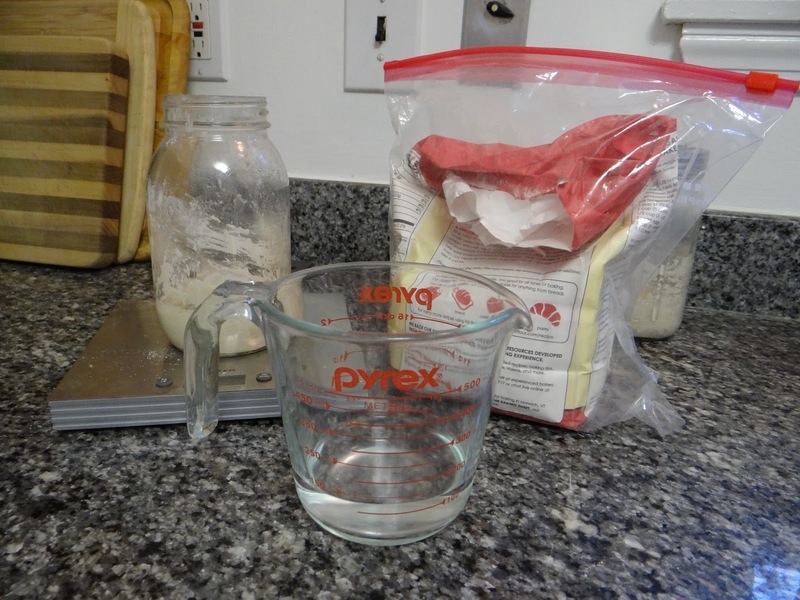 Sourdough starter: There is another way to get maximum flavor out of your dough – using a sourdough starter. 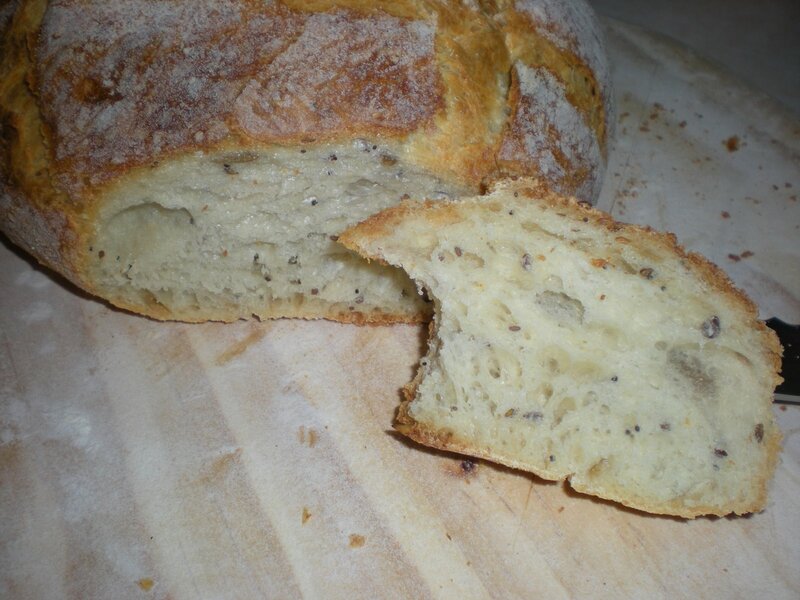 In order to use sourdough starter, you need to feed it daily to keep it active. The amount of starter you add to a recipe should be about 1/5 or 1/6 of the total weight of the dough. 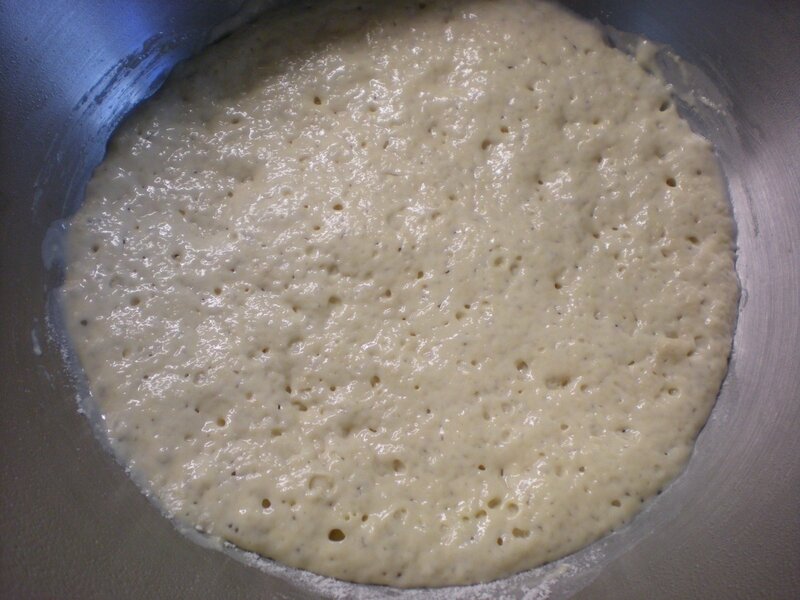 Dough that uses starter exclusively for its leavening purposes takes a longer time than one that uses commercial starter, so plan accordingly. Update on the sourdough starter – I borrowed a sample from my MIL and it’s now going gangbusters! I’ll hopefully have a post about it soon. I hope this post was helpful. 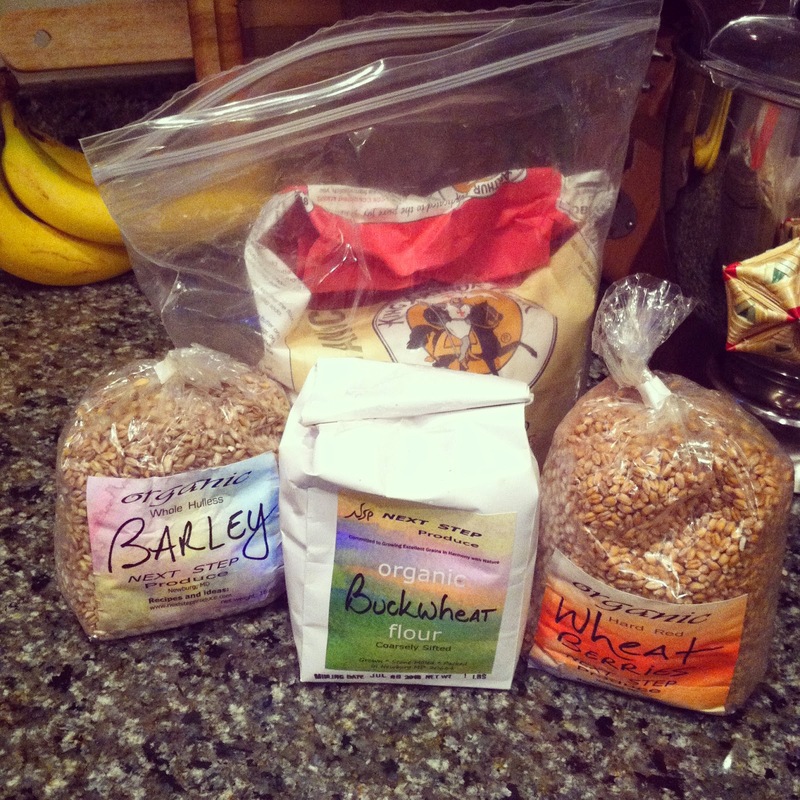 If you have other questions about yeast or the fermentation process, please let me know in the comments.